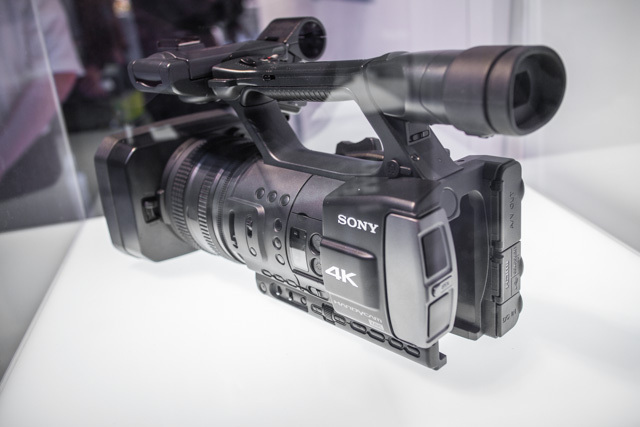 Thanks to our friends over at SonyAlphaRumours.com this is the first picture of Sony’s new prototype 4K camcorder possibly to be shown at IBC this September. 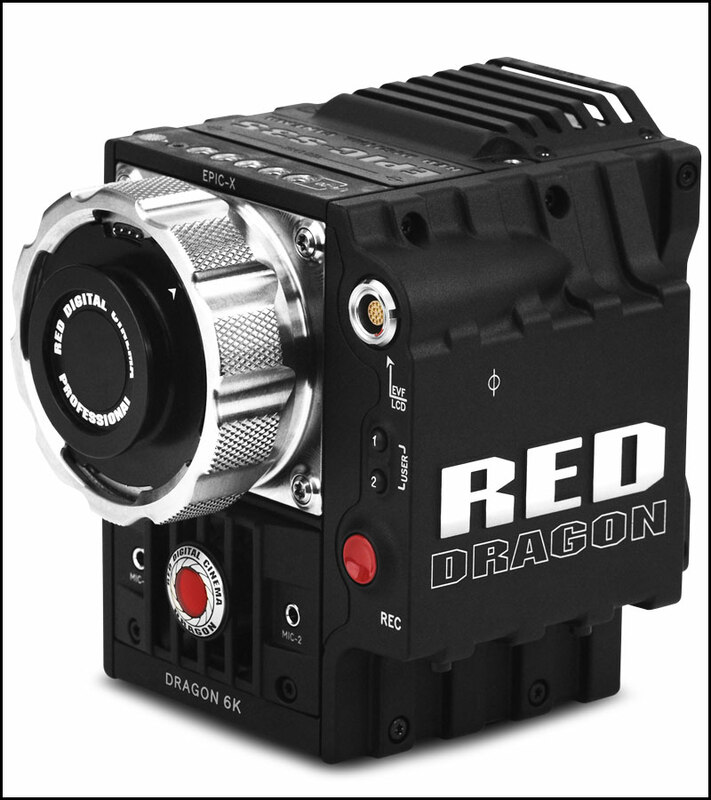 This would be a direct hit at BlackMagic Design both price and specification. What you can’t see is the LCD or viewfinder but don’t hold your breath, for a £3,200 4K camcorder we are not expecting miracle’s. 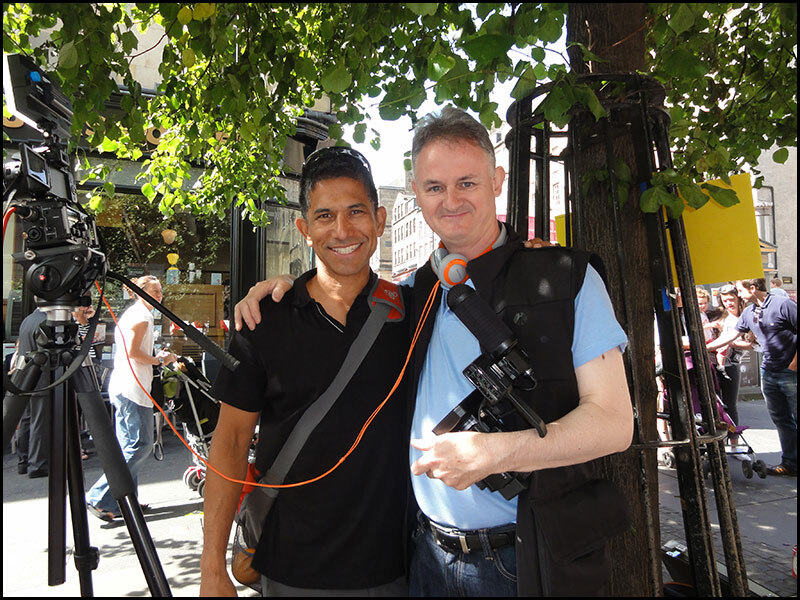 At £2,675 the BlackMagic 4K camera is still £500 cheaper but the lack of professional XLR inputs and remember you don’t get a lens at this price, the Sony FDR-AX1 is looking a very hot contender to pip BlackMagic off their perch. Some people are less than impressed with the Sony 4K concept…”Fixed lens” and “One third inch chipset”. Firstly the fixed 4K lens will be a bonus for those of us who can’t be bothered with “lens swapping” and “sensor dirt”. It makes sense to have a “video” 4K camcorder that acts like a camcorder rather than the “DSLR” lens type that can leave certain jobs “lifeless” without a servo zoom. As for the 1/3″ sensor, no one has let that cat out of the bag yet but logic tells you that you won’t be able to produce a 4K image from a 1/3″ sensor so I am banking on a minimum APS-C or a Super 35mm sensor. 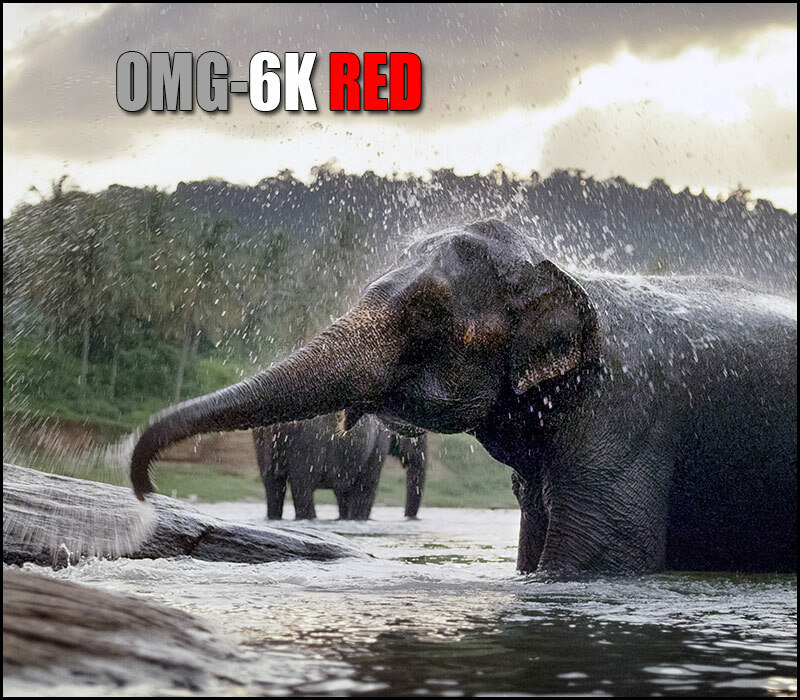 On the week that Jim Jannard decided to take a back seat we are presented with these stunning pictures from RED’s new 6K sensor. Jim Jannards last post on REDUSER “With the release of the Dragon sensor… I have finished my mission. I am done posting. I will no longer be the face of RED. Mercifully, Jarred will take my place and he is worthy times forever. Jarred is me… only 30 years younger. 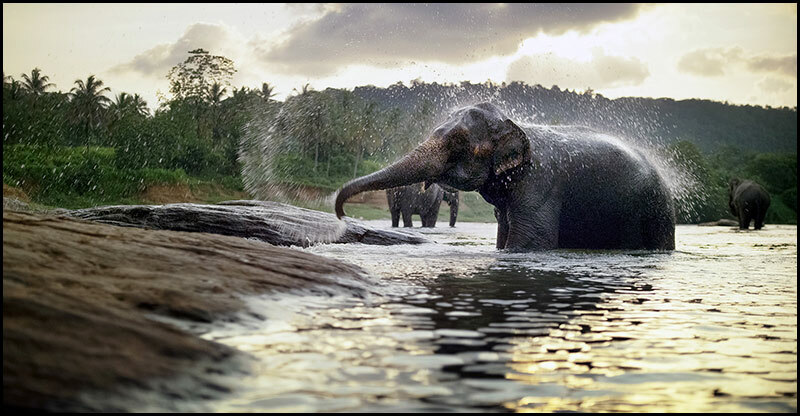 The still comes from filmmaker Tom Lowe (Timescapes), who has been traveling around Sri Lanka with the RED Dragon. 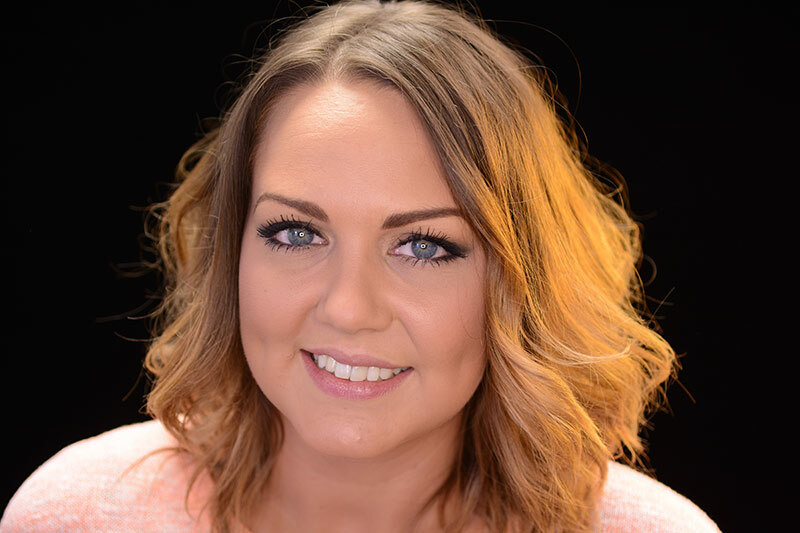 I am using the Ledgo ring-light this week and I have fallen in love with the “look”. Ring-lights were mainly used in photography for macro work till recently. The ring-light causes two distinct circles in the pupils of the eyes, a characteristic of the “shadowless” wonderful light given off by the ring-light itself. Holdan’s are the distributers of the LEDGO CN-R332 ring-light which retails for an amazing £199 plus vat. 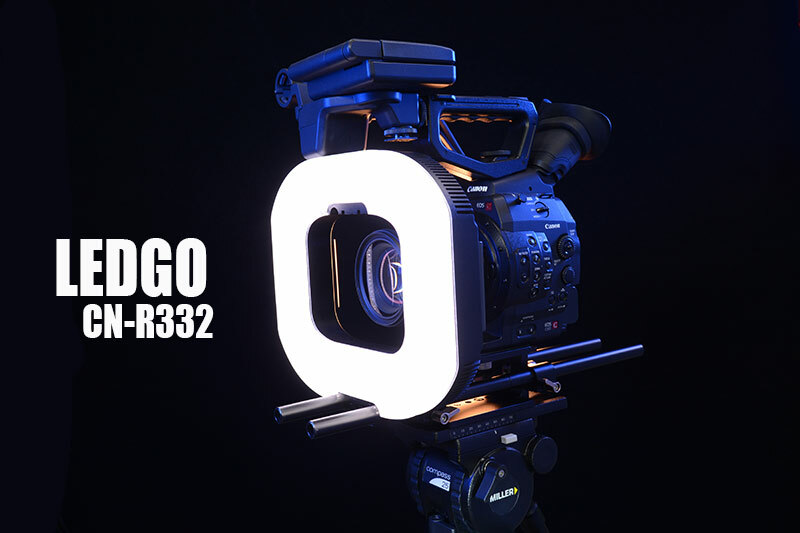 The LEDGO ring-light uses two Sony Infolithium “L” type batteries or with supplied adapters Panasonic CGR-D lithium ion batteries or two “AA” battery holders. 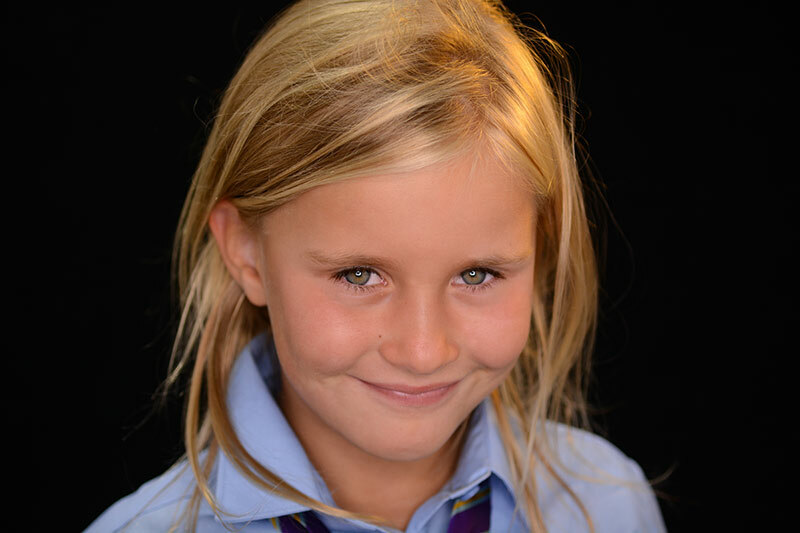 As you can see these pictures were taken with my Nikon D7100 using the LEDGO ring-light and in my opinion are stunning. 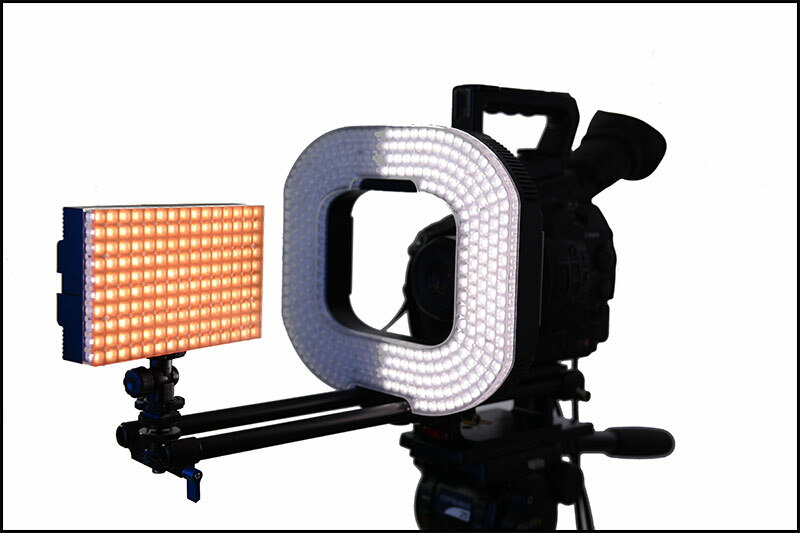 You have the option to use either side of the light as seen here while filming pack shots of the LEDGO 150 camera top light. I have mounted the light onto various cameras and camcorders using the supplied 15mm rods or with my own Genustech camera adaptor plate and rods. Philip Bloom “Absolutely horrible horrible news. Mick Deane, my former colleague at Sky News where I worked for 17 years, was shot and killed whilst covering the violence in Egypt. He was also married and a dad of two. Mick was an amazing man, really kind and friendly. He was also the perfect news cameraman. A great cameraman and editor and he also knew what was a story and just as important, how to tell it. Having spent such a long time at Sky News I covered so many stories where our lives became at risk. Often when we didn’t expect it. Naturally in war zones and places like Egypt it is expected and goes with the job. I was lucky. So many friends and colleagues, like Mick were not. Too many of them have lost their lives bringing us the news, not just the ones I knew of course but the countless others. Never forget whilst watching these reports the risk these men and women take to inform us and make sure stories that need to be told are told. I for one thank Mick for the all the important stories he has helped shed light on over the years, but most importantly mourn a great man whose life was taken doing the job he loved. HDW : News coverage is never a good place to be as you can become a target yourself, I personally covered many news stories for Scottish Television and was in the cameraman’s “den” when the news editor appeared to ask “who was available to cover a war zone for two weeks” the room went deathly silent then one brave cameraman who was a veteran of such conflicts put himself forward. You don’t enter war zones lightly and anyone who does is a brave man or woman, you build a psychological wall around the fact that you will be safe, you are the media, we are everyones friend, but more often than not you can also become a target or hit by a stray bullet. HD Warrior passes on our heart felt condolences to Mick’s family and as a father myself with two boys I know how it feels from both sides. “The fact that it is now possible to buy a Blackmagic Cinema Camera EF or MFT for $2000 USD or just over £1300 in the UK (ex-vat). This makes Blackmagic camera, which records RAW or ProRes to SSD, almost irresistible to both fledgling and established filmmakers. I already have a Blackmagic Cinema Camera EF which I love. I also love the idea of having more of these cameras, though may well choose the MFT model next as I have many lenses which will work beautifully, via adapters, with the MFT mount. 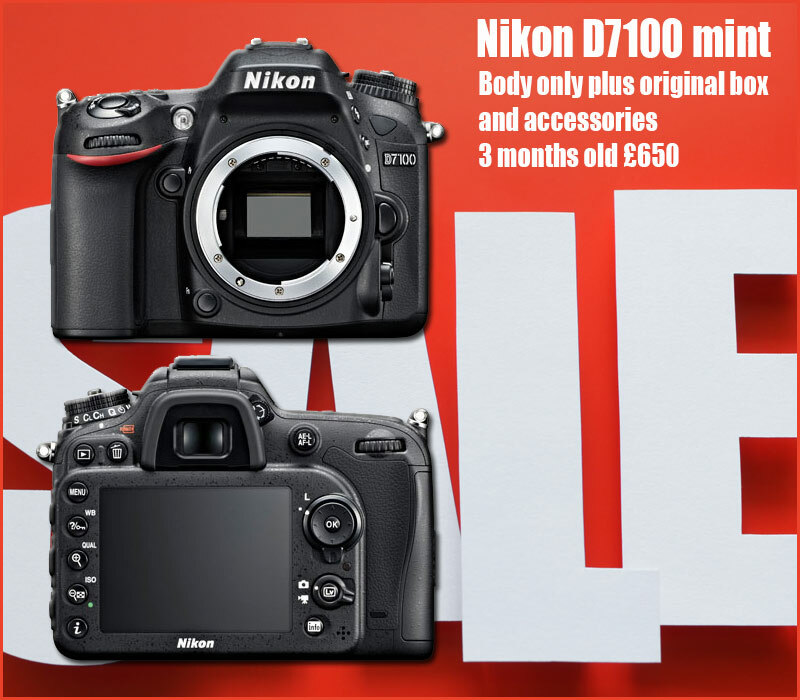 Once again I am selling kit, I don’t quite know why I bought into Nikon …again, when I had a load of Canon glass for my Canon C300. Don’t get me wrong the Nikon “look” is second to none and the glass is on a par with Canon if not slightly better in certain cases. All the kit seen here is 3 months old bought from Calumet in Glasgow, it’s all in fully working order and is a bargain for someone looking for Nikon kit. Payment is as usual via PayPal, remember you don’t have to have a PayPal account to pay for the kit. Due to tracking restrictions I cannot accept any buyers outside the UK. DELIVERY : All sent by Royal Mail Special Delivery next day post please add £7 per item for postage. Interested… Send me an email to hdwarrior@me.com. 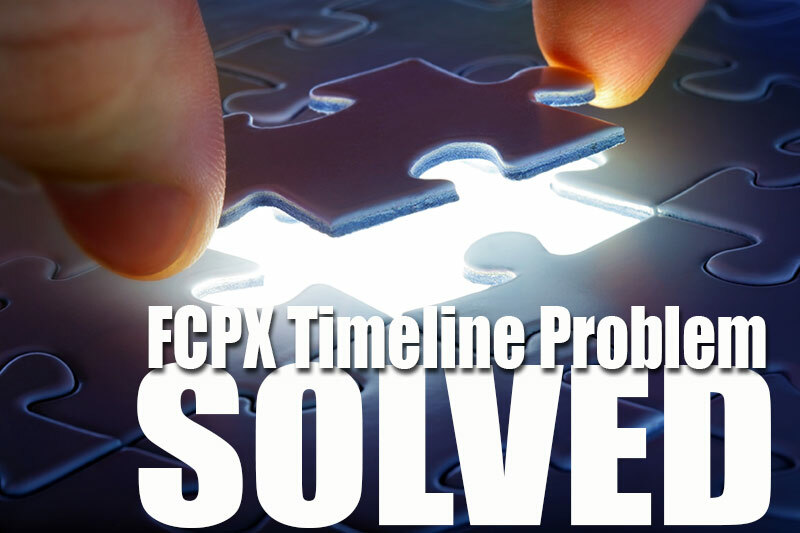 Up until I finally (in despair I may add) re-read the Digital Rebellion claims about fixing FCPX timeline problems , especially ones that prevent you opening the timeline. Pro Maintenance Tools a $139 application allows you to do many things, one of these being to analyse crashes. Armed with this information and the ability to disable “UNVEIL” from FCPX via the Plugin Manager, another cracking application thats part of the Pro Maintenance Tools suite I re-started FCPX and amazingly my 53m timeline opened with no spinning beach-balls…the disabling of this one plugin has been a saviour to my project and the ability to now make my final changes needed for the client. What seems to be happening with Unveil is that I have overused it cleaning up audio not realising that it takes a great amount of processing power to make Unveil happen, pushing the iMac processing to it’s limits, so by disabling it you get your timeline back. The best solution from here in will be to edit in segments or ten minute timelines then render your edits to quick times and but them together. Zynaptiq GmbH”There is one known issue on Apple’s side that may cause crashes with our (as well as a whole bunch of other) audio plug-ins – this relates to how FCP X handles rendering audio previews. Apple is aware of this issue and state they’re making good progress with it”. Unveil works a treat and till I finnish my 53m project I will miss using Unveil, but at the expense of a non opening timeline I will opt for disablement mean time. 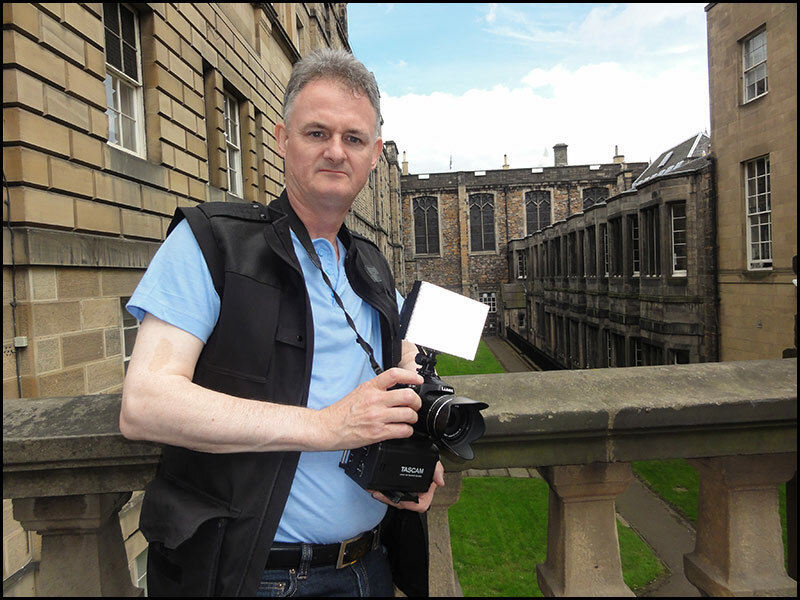 While in Edinburgh yesterday testing the new Tascam DR-60d all in one sound recorder I was approached by a fan of the blog. I was amazed and flattered to discover Dr Javier Perez a trauma doctor from Colorado USA was a keen fan of my blog and came over to get a picture with me. 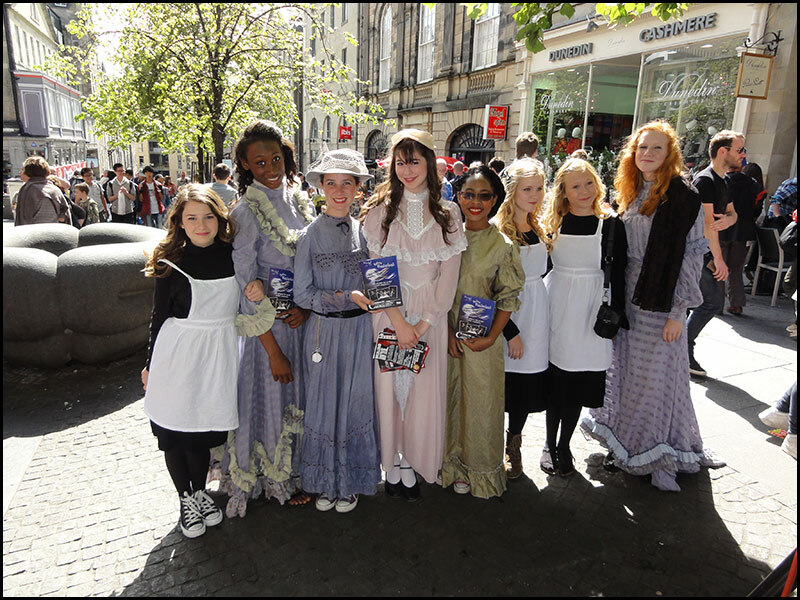 He was over with a bunch of kids from the Denver School of Arts who are performing “Before Wonderland” at the Edinburgh Festival. The kids were only too happy to be interviewed using a LEDGO 150 camera light, a Lumix DMC-FZ200 and the Tascam DR-60d sound recorder. 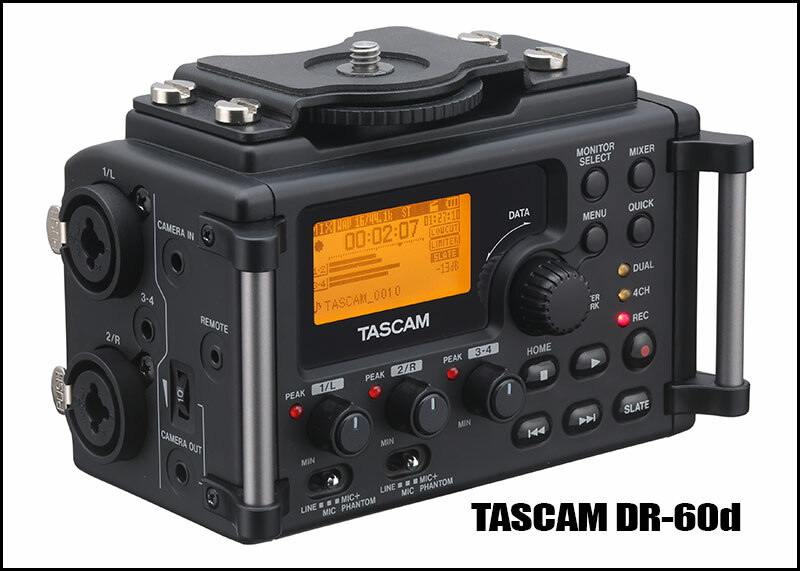 The Tascam sound recorder is a cracking piece of kit though you do have to be careful when using it. As you press the record button you are positioned into a REC/PAUSE mode and with a further press you are in full record mode, you can toggle between these two modes or press the stop button to get you out of REC mode all together. There is a remote input which I thought might tie in with the camera but alas this is only for a wired remote or a foot switch. This is where I get a bit twitchy using a separate sound box with a DSLR setup, you can and I did forget to put the Tascam into record mode…once, but thankfully that was at the start of the day. I choose the Lumix over my Canon/Nikon as it was the most versatile giving me a swivel VF, electronic live VF, records 1080 50p and has a constant f2.8 aperture lens. 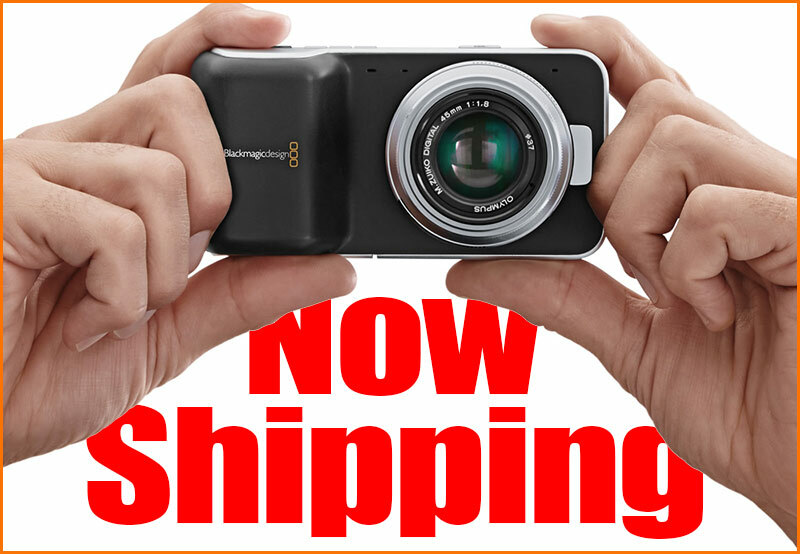 The new Blackmagic Pocket Cinema Camera is now shipping and there is a software update for it posted on our web site. There are some new features in the software for the Pocket Cinema Camera. You can now focus by pushing the focus button when using an active MFT lens. This makes it very easy to accurately focus. The focus peaking feature is still there and you enable it by double pressing the focus button. The focus zoom feature is enabled by double pressing the OK button. There will be an update for the 2.5K Blackmagic Cinema Camera soon that will also add these features, plus new de-bayer processing that will improve the cameras sharpness when shooting non RAW files. 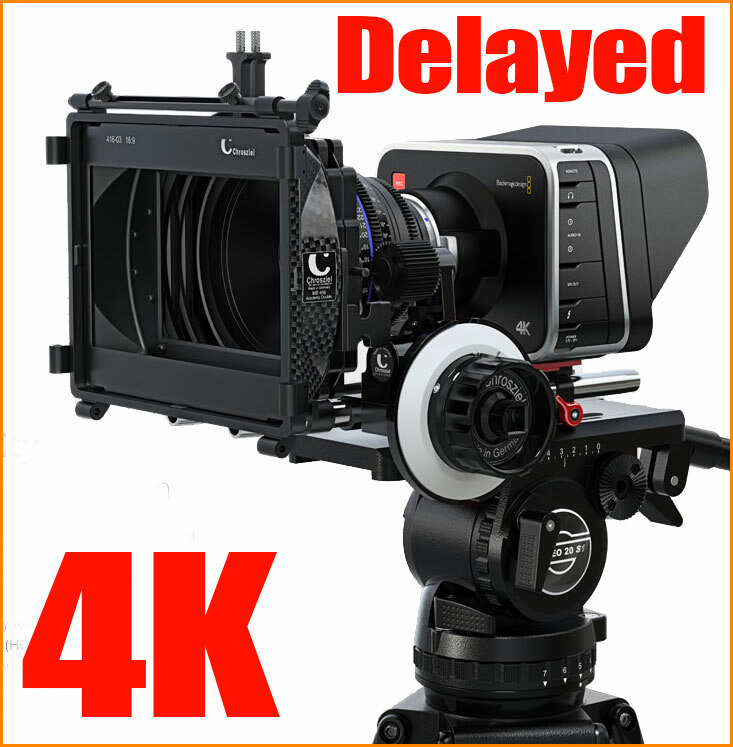 The Blackmagic Production Camera 4K is not yet shipping as we need some more time. Our first batch of sensors was delivered only this week, so we have not been able to complete the software for the camera. We expect to start shipping in about 3 to 4 weeks once the final software work and testing is completed. 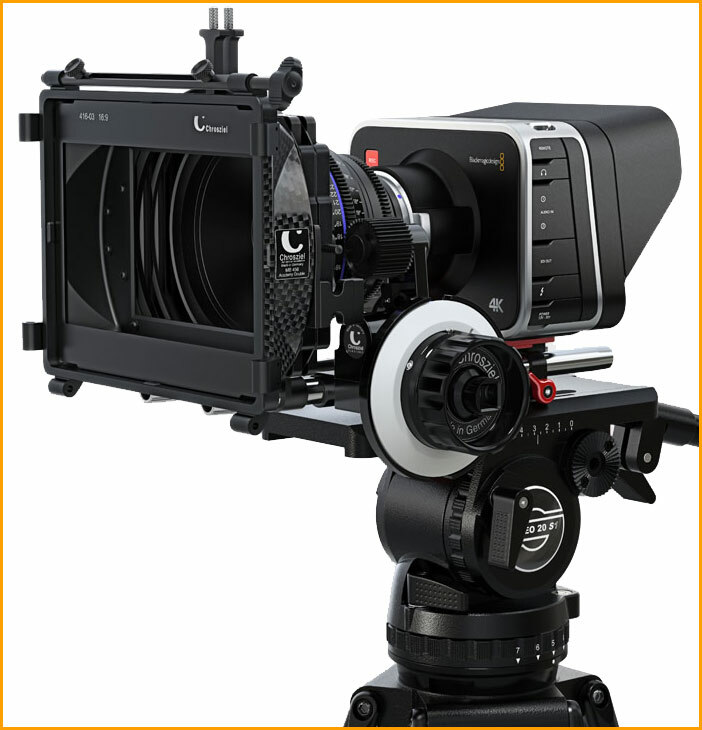 We have worked very hard over the last year to be able to build the Blackmagic Cinema Camera at a lower cost so we can reduce the price and allow access to digital filming to a wide range of cinematographers and photographers. 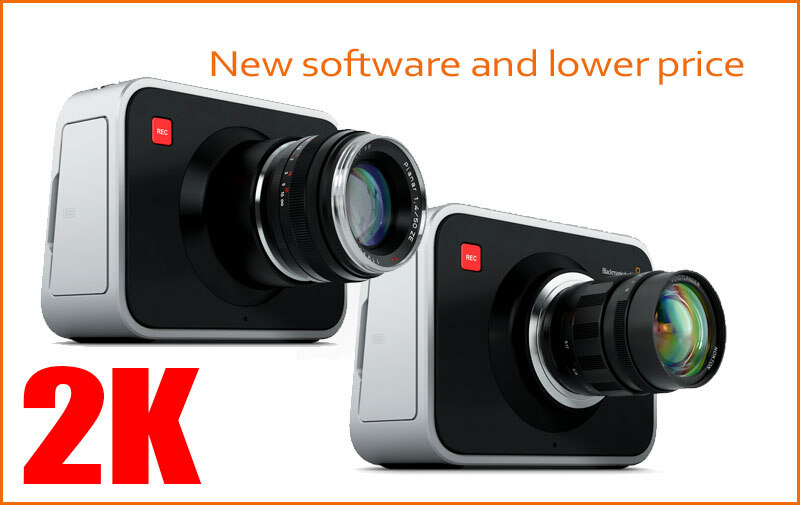 We have done it and from today the Blackmagic Cinema Camera EF and MFT models will be reduced in price to US$1,995. This is very exciting and is one of the proudest moments of my life to be able to do this! 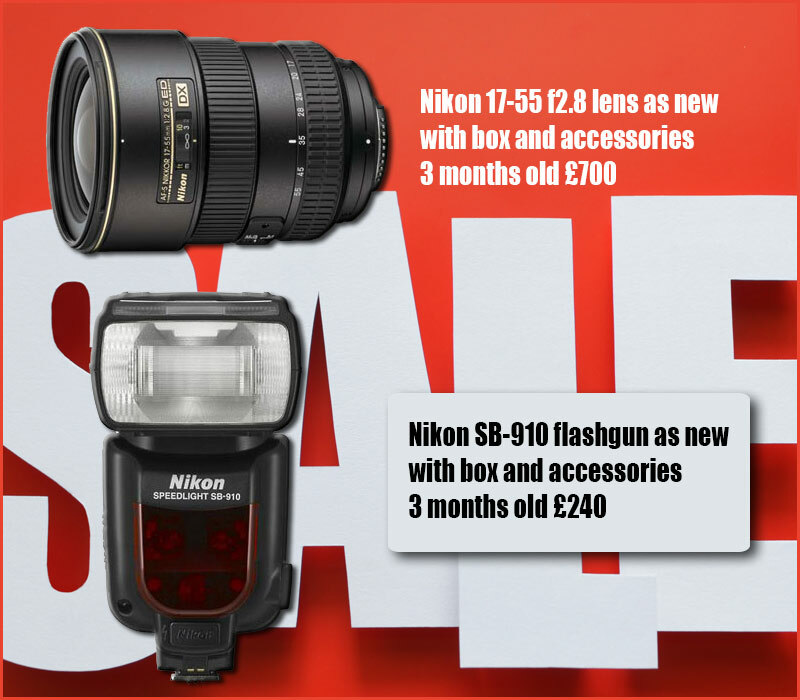 I think people will be able to use the savings to invest in some exciting lenses and rigs to really boost the creative possibilities. The Blackmagic Cinema Camera is a fantastic design that’s now well proven. 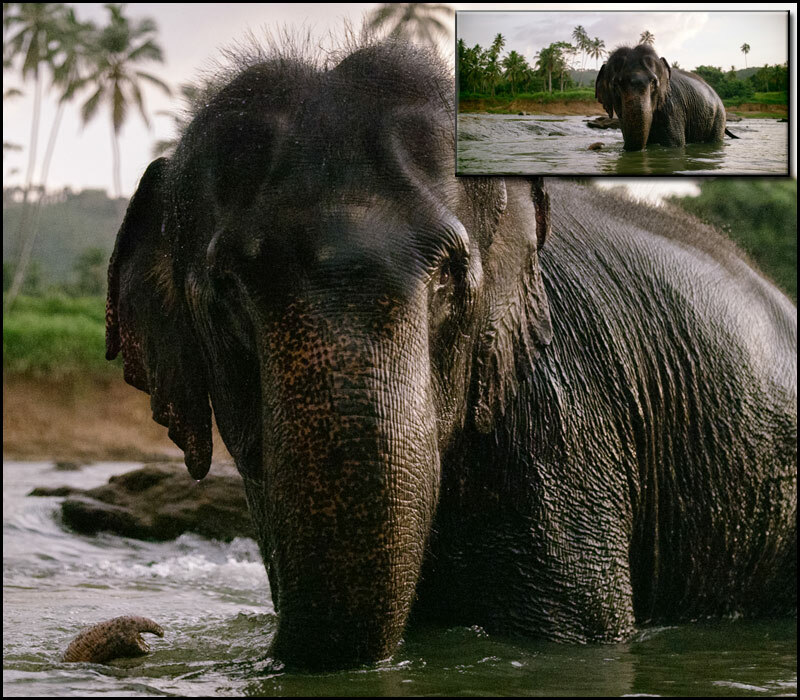 The advantage of the 2.5K sensor is it has enough resolution to eliminate the bayer resolution loss of a HD sensor, but when shooting RAW it produces files that are too not to big to store and work with easily. It’s a fantastic solution. All orders placed that have not yet been filled, can be reduced to the new lower price. We have an exciting new version of software for the HyperDeck SSD recorders and this new update adds 6G-SDI support on the output for HyperDeck Studio Pro and adds on screen menus to both HyperDeck Studio models where you can set formats and other features. We have also added a new ethernet remote control support. This is really easy to use and you connect HyperDeck to your network, set the IP address of the HyperDeck in the menu and then Telnet into the HyperDeck to get control. If you type play, the HyperDeck will play and if you type stop, then HyperDeck will stop. You can get clip lists and all kinds of control functions. There are more details in the instruction manual on the protocol. This update is free of charge and on our web site now. We have a new software update for the ATEM switchers and it’s a big update with lots of new features. It includes a new save and restore that allows you to save the state of the switcher into an XML file, including all your media pool, into a folder of images. You can load that XML file back into the switcher to fully restore it with all settings and media back online. You can even save parts of the switcher, such as a single keyer or even SuperSource and use them like Marcos. If you save the switcher, you also have the choice to load parts of the switcher, or the whole switcher. You can keep saving to keep rolling backups and each XML file is like a time based snapshot of your switcher state through the whole job. The media pool will keep adding any changed images to the media folder so you will get all media that’s used in the job and can restore back to any point in time. Its very powerful. We have also been opening up some of the power of the new ATEM Production Studio 4K model that includes HDMI and 6G-SDI that operates in SD, HD and Ultra HD resolutions. This update now adds new 1080p progressive video formats including 23.98, 24, 25, 29.97, 50 and 59.94fps. This really opens up the number of devices you can plug in. This update also fixes a bug in the ATEM Production Studio 4K that stopped some devices using RGB HDMI such as Playstation, Xbox, computers and GoPro cameras from working with the switcher HDMI inputs. This software update is available now from our web site for download. We have a small software update for DaVinci Resolve 9 that adds improved compatibility with Avid Media Composer 7.0 round trip, supports reel names in Final Cut Pro X XML, adds support for Avid EuControl Software Package Version 3.0, improves handling of multi track Quicktime audio files and adds improved Cinema DNG file format support. This update is available for download from our web site. This new software update now adds support for the 4K DCI modes and adds improved compatibility for HDMI on the UltraStudio 4K and the DeckLink 4K Extreme models. We have also improved support for Avid Media Composer for the UltraStudio Mini Recorder and DeckLink Mini Recorder models. This software update is available now for download from our web site.